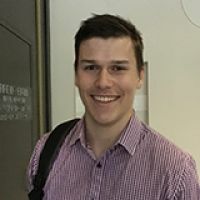 The workplace experience as part of his business degree was the highlight of his studies, says Craig Kamins who now works for Volvo Group Australia. “The biggest highlight of my time at AUT was definitely the workplace experience in my final year. I completed my workplace experience in Brisbane at Volvo Group Australia. The most enjoyable part for me was learning about all the different products the company sells. At the end of my placement I was fortunate enough to be a part of the Brisbane Truck show. It was a great experience to see the various truck manufacturers here in Australia. For Craig, his placement at Volvo Group Australia has also opened the door to a permanent role there after he graduated. “I’m responsible for providing support to our dealerships nationwide when it comes to servicing and product information, coming up with marketing plans to increase service agreement growth, and analysing reports to identify changes that can be made to benefit our customers. He constantly applies the skills he learned at AUT, the business alumnus says. After enjoying economics in secondary school, studying business at university was an easy decision, Craig says. “I’ve always been interested in one day starting my own business. AUT seemed like a great fit for me as I had heard that it has a more interactive approach to learning in smaller classrooms, rather than sitting in big lecture theatres all the time. He also appreciated the visits from industry experts, Craig says. For him, one such visit turned out to be eye-opening.